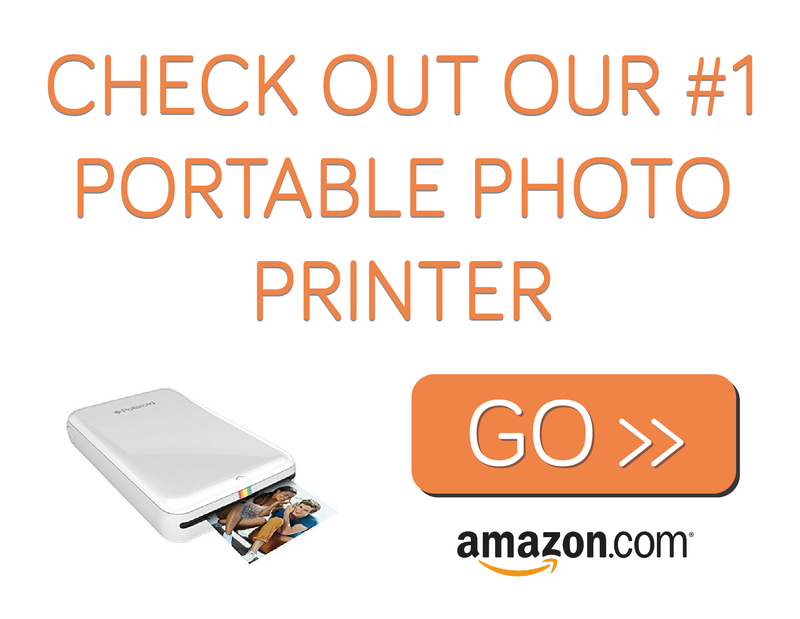 Fujifilm have recently announced their new portable instant printer, the Instax Share SP-2. It’s an update in the companies portable photo printer range, and the new version of their great Fujifilm SP-1. And from what we hear from Fujifilm their new Instax Share SP-2 is meant to be more reliable, faster and even more fun. So if you’re not familiar with Fujifilm’s Instax Share printers, they use 2 by 3 inch Instax Mini instant film, which works in a similar way as Polaroids instant cameras, and they’re made to be used with smartphone and tablets. You can use them to print photos directly from your phone, or you can use social media such as Facebook or Instagram to find photos to print, this also has customised graphics to show likes and shares, or even where you were when you took the photo. The Instax Share SP-2 has all the great features of the Sp-1 and more. It prints photos faster (6 seconds faster 10 seconds instead of the Sp-1’s 16) and there are loads of new options to customise and edit your photos. You can now adjust contrast, brightness, and saturation, and you can also apply stock filters to any photo you print to let your creative flair out. The app has also had an overhaul, which has many new features such as letting you print collages of images. Specifications taken from the Fujifilm website. Recording – photo output (Feed out) Approx. 10 sec. 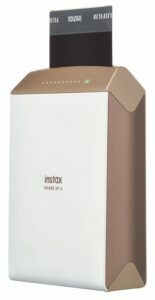 The Instax Share SP-2 is available from July 27th at Amazon and comes in some smart colours, silver and gold. Stay tuned to best portable photo printer for a review of the Instax SP-2 once it becomes available.